PPC Marketing – Learn The Basics! PPC (Pay-Per-Click) marketing is an important source of leads or sales for many digital businesses. It is estimated that if we combine the USA and the UK marketers currently spend over $80 billion on digital advertising, with a large share of this accounted for by PPC. PPC marketing is a form of paid internet advertising where advertiser pays a fee to a publisher or search engine every time an ad is clicked on by a user. Most ads are placed on a search engine, a network of websites or an individual website. Advertisers have to bid against competitors for the same keywords by setting a maximum cost per click (CPC) bid value and set a daily budget to manage the their advertising spend. What is the objective of PPC marketing? Raise brand or product awareness to encourage more direct traffic to your site. Increase website traffic to a site that may have little or insufficient organic (SEO) traffic. To increase online sales revenues. What Makes A Successful PPC Strategy? Relevance of keywords – Identifying relevant PPC keywords that reflect a high intent on the user’s part helps to ensure a good click through rate (CTR). Focused keyword groups and clear ad text that is relevant to the search will help improve the performance of a campaign. Website and landing page quality – Ensure visitors who click on your ads are directed to an optimised landing page which serves highly relevant and persuasive content with a prominent call-to-action. The landing page should reflect the individual search query. Quality score – The quality score is Google’s own rating of the relevance and usefulness of your ad to the user. It takes into account the number of clicks your ad has previously received (the CTR) and the relevance of your landing page. A high quality score can mean that despite a lower maximum bid your ad could appear above that of a competitor with a lower quality score. Google has a dominant position in the search engine market in both the UK and USA and so also has the largest pay-per-click platform. Google AdWords includes Google, Search Partner sites (e.g. Google Shopping & Google Maps) and Display Network sites (e.g. Gmail and YouTube). However, when you set up a PPC marketing campaign you can choose to exclude Search Partners and the Display Networks if you want to limit your initial campaigns to Google Search. You can always add them into future campaigns once you have gained sufficient experience . Owned by Microsoft, Bing Ads has around 11% share of the search market in the UK and Microsoft sites account for almost a quarter of the search market in the US. Bing’s pay-per-click platform serves ads on the Bing and Yahoo networks. Similar to Google Bing also uses Search Partners. PPC marketing is all about relevance. People are searching for information, a product or a service to meet a specific need. PPC keyword research is especially important because it identifies how users search for your category or product so that you can show a targeted ad at the precise moment a user is searching for a solution to their need. This is critical to achieving a high conversion rate. Relevant – Good PPC keywords reflect high visitor intent and so result in a high click-through rate, an acceptable cost per click and a profitable conversion rate. Exhaustive – Your keyword research should identify not only the most frequent search terms, but also high intent long-tail keywords. Long-tail keywords often have a higher level of intent because they are more specific and are usually less competitive and so have a lower cost-per-click. Expansive – PPC Keyword research is an iterative process which means that you will need to constantly review and refine your campaigns and adapt your keyword list. To undertake PPC keyword research you will need to access a tool that provides information including monthly search volumes, competitive density (PPC and SEO), average CPC, competitor keywords, search volume trends and historical data for competitor PPC keywords. SEMrush is one such tool that I find especially good at competitor analysis and uncovering new keywords with their Keyword Magic Tool. You can find more keyword tools in this article on keyword research. The overall budget is set at a campaign level and the maximum CPC (cost per click) can be set at either the ad group level or keyword level. Here is an example table of match types, keywords and possible search queries for investment property. These are keywords that can help exclude unqualified or low intent searches. For example, if a user searches for “investment property courses” or “jobs” they aren’t probably looking to buy a property. By adding “course”, “courses”, “job” and “jobs” as negative keywords, your ad won’t appear when a search including these words are entered into a search engine. For a company only selling property in the UK, “international” may also be an appropriate negative keyword. Now you are ready to create a PPC marketing campaign you will need to understand what settings to select as you go through the set up process. When you go to set up a PPC marketing campaign you will be faced with decisions about campaign types, as well as choices about such things as device and location targeting. It is important to set these appropriately as otherwise you could end up wasting budget on inferior traffic or targeting locations where you are not active. These are text ads and For AdWords the search network includes Google.com and its search partners such as amazon.com, aol.com and many others. This primarily comprises search queries and ads are displayed according to the keywords and matching terms bid by advertisers. The default setting for search is to also include running text ads on the display network (see below). Unless you particularly want to run ads on the display network it may be best to unclick this as Google decides when and where your ads may perform best. You may want to experiment with opting into the display network once you have gained some experience of the search network. This allows for different types of ads run across millions of sites that agree to display Google text, image and video ads. This includes Gmail, YouTube and many mobile apps. The e ads are displayed according to audiences and demographics and are located according to the individual website’s preferences rather than any standard format. Responsive ads – This is a partially automated process for creating ads. You enter your ad text and your images and logo. Google then displays them as “native” ads by blending the font and feel of the publisher’s site. Uploaded image ads – You can create and upload images in many different sizes of HTML5. Gmail ads – Offers expandable ads on the top tabs of users inboxes. Engagement ads – Create engaging image and video ads to be displayed on YouTube and across the whole of the display network. Product Listing Ads (PLAs) are for retailers to create shopping campaigns to promote your online and local merchandise. These campaigns can increase traffic to your website or local store and generate more qualified leads. To begin with you will need submit a product feed to Google Merchant Center and then create a campaign in AdWords. Google will then create ads on Google and around the web where prospects can view what you are selling. PLAs include information such as a photo of the item, a title, price, store name/brand and other relevant information about the offer. PLAs use your existing Merchant Center product data, not keywords, to determine how and where to display ads. Google uses the product data it holds to match a user’s search to your ads. These can be targeted a specific interest groups, such as music lovers, sports fans or you can define your audience based upon demographics or location. Advertisers are only charged when a user engages with an ad. If a user skips an ad before 30 seconds (or the end) you won’t be charged. Google has recently launched Reach Planner (in beta) to help media planners and advertisers forecast the reach and frequency of video campaigns on YouTube and the video partners on the display network. Reach Planner provides reach data for all devices, core audiences and video formats in more than 50 countries. These allow you to promote your iOS or Android app to users across Google and its partner networks. Universal App Campaigns use machine learning to help find the best prospects and optimise your budget spend. Google pulls information from the App Store or Play Store and then you can customise the text and upload images and videos of your app. Budgets are set by defining how much you are willing to spend for each install (cost per install or CPI). Location targeting enables ads to only be shown in the geographic locations that you choose. This can do down to specific post code or zip code in the USA and you easily add or exclude regions or town/cities. In the example below I searched for the county of Devon and by clicking on the buttons on the right of the AdWords screen I can target or exclude the county of Devon from my campaign. If you know certain geographical locations have more valuable prospects than other areas you can set up bid modifiers by location. Here for example the advertiser has set bid modifiers by region of the UK. To manage the rate of your spend on PPC campaigns you will need to set a daily budget. For the first two to four weeks of a new campaign it is a good idea to keep your daily budget relatively low. This will give you time to evaluate which ads are working and also which keywords are most effective. When you set your daily budget you can also decide on the delivery method. You have two options. The standard delivery method displays your ads evenly throughout the day and is ideal if you have budget limitations and want to schedule ads to appear throughout the day. The other option is the accelerated delivery method which shows ads until the budget has been used up. This may be more suitable if you do not have budget restrictions and just want to make sure your ads show for every query. Firstly decide what is your primary focus of your PPC marketing campaign. Is it clicks, conversions or the conversion value? This will depend upon the objective of your campaign and what matters most to your business. You should use your keyword research to identify which phrases and queries you can afford to target given your maximum CPC. You may want purposely avoid bidding too much to prevent your daily budget being quickly used up by the most expensive keywords in your ad group. Now choose whether you want Google to automatically maximise your bids according to your focus. The automated option allows Google to get the most clicks/conversions while spending your whole budget. The second option is manually set bids. Manual CPC gives you full control over your maximum CPC. You can either set a default bid for a whole ad group or specify bids for individual keywords. This gives you complete flexibility but does require a lot more time to set up campaigns if you are going to go down to individual keywords. Depending upon what you choose above Google will then recommend a bid strategy, but you can also select a bid strategy directly. See this article for information on the pros and cons of different bid strategies. Today’s date is the default start date and so ensure you change this to an appropriate date and also set an end date so that you don’t go over your budget. Before you are asked to write your ad you will be given the option of setting ad extensions. These are free additional links and supplementary information about your business which can make a big difference to the effectiveness of your ads. This is because ad extensions increase the size of your ad and make them more prominent on the search engine results page (SERPS). This will often increase the click-through rate of your ads. Sitelink extensions are additional links which enable deep linking to your site. These should be relevant to the search term and are available on both Google and Bing advertising platforms. 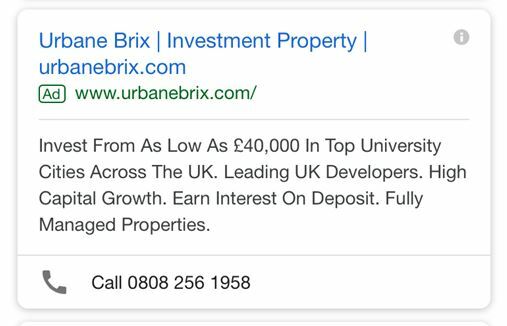 Here is an example for an “investment property” query which has four sitelinks at the bottom of the ad (i.e. all shown in blue). However, sitelinks can also include descriptions to make the extensions more prominent. This is another example from an “investment property” search. Callout extensions promote unique or popular aspects of your offer, such as free shipping or 24/7 service. You can create between 2 to 6 callouts and are shown in a number of formats depending upon the device. On computers callouts are separated by dots and listed on a single line, callouts on mobile devices wrap in paragraph form. You can add callouts at the account, campaign or ad group level. A good rule is to provide more general information at the account and campaign levels, and display more specific information at the ad group level. On mobile devices call extensions provide users with the ability to click-to-call and so utilise the functionality of a smart phone to contact the business. On desktop ads it allows the phone number to be displayed within the boundaries of the ad. 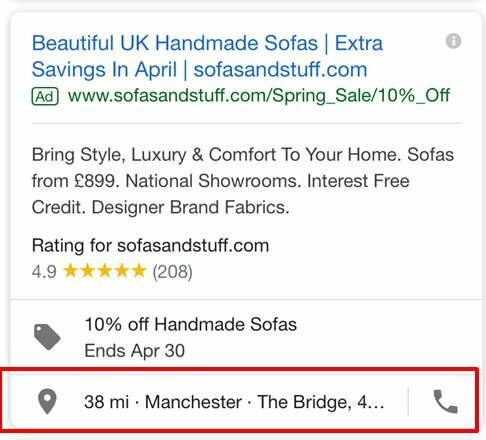 This gives users the ability to call the number rather than clicking on the ad and so it could potentially save you some money from your PPC budget. You can use this to highlight specific aspects of your product or service such as the brands, destinations or types of products/services you offer. 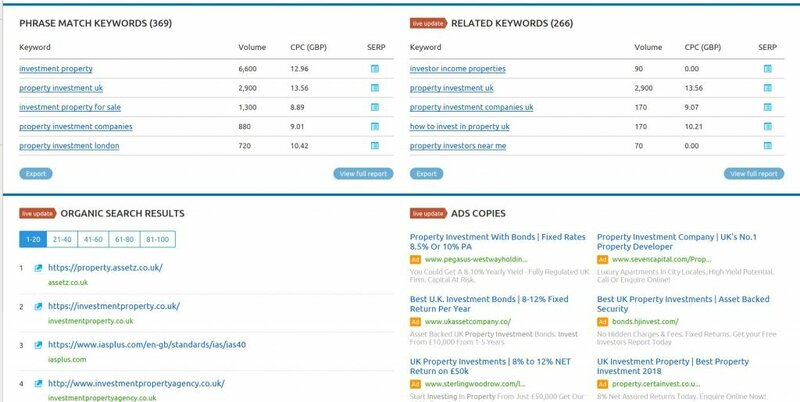 The example below for buy to let property investing uses the structured snippet extension to show the types of properties available (i.e. One Bed Studio, One Bed Apartment, Two Bed Apartment and Three Bed Apartment). On a computer your structured snippet extension will show up to two headers a time, whilst on a mobile device it will only display one header. AdWords uses an algorithm to decide the best header or combination of headers to display and so it’s worth setting multiple headers for your business. The available headers are; Amenities, Brands, Courses, Degree Programmes, Destinations, Featured hotels, Insurance cover, Models, Areas, Service catalogue, Shows, Styles and Types. The app extension allows you to include an app install link in your text ad when viewed on a mobile device. Clicking on the install link takes the user to your app’s description in the app store (i.e. Google Play or the Apple App Store). Clicking on your ad’s headline will still take the user to your website. Here is an example for the PokerStars app install ad. The message extension allows mobile device users to contact your business directly be text message. Message extensions allow people to see your ad, click an icon and contact you directly by text message. With one tap on your ad, people can contact you to book an appointment, get a quote, ask for information or request a service. Message extensions can help you to grow your business by giving people another option to reach you. The promotion extension displays a price tag icon beneath your ad and highlights a sale on your website. AdWords offers four types of promotion; monetary discounts, percent discount, up to monetary discount and up to percent discount. Advertisers can also specify details about the promotion such as if it has a minimum order value, if there is a promo code, the end date of the sale and if it is for a special occasion or holiday. 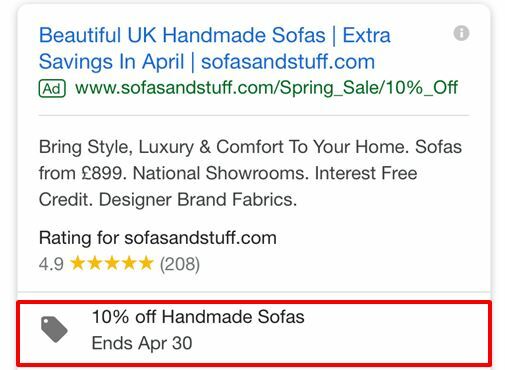 The price extension on AdWords displays a menu of offers and prices. Visitors who click on the extension are directed to a dedicated landing page that outlines more details of the selected offer. Here is an example of a price extension for a hotel enquiry. The location extension displays your address, a map with your location or the distance to your business. Users can click or tap on the extension to see further details about your location on your location page. To use this extension Google requires that you connect your Google My Business Account to your AdWords account. Selling ratings extensions are an automated extension which displays advertisers with high ratings. The ratings comprise your company’s rating, number of reviews that the rating is based upon and a qualifier which highlights some property of your brand which led you to getting the rating. Google decides automatically whether or not to display the qualifier. Google bases seller ratings on a number of sources including Google Customer Reviews, StellaService, aggregated performance metrics from Google-led shopping research, ratings from Google Consumer Surveys, shopping reviews for your store domain and independent review websites. Audiences are groups of users segmented according to specific interests. They tend to be for remarketing and allow you to advertise to people based on their specific interests as they navigate pages, apps, channels, video and content across the Google Display Network and YouTube. Audiences can be added to ad groups to target people with these specific interests. This allows you to select from a wide range of categories such as people you have visited your website, who have a specific hobby/interest in a particular area or are shopping for certain types of products. These were created for organisations currently airing TV ads who want to extend the reach of the campaign with an online presence. Apps that an ideal customer may be interested in. This means your ad will display to users who have similar apps on their smart phones. Custom ad scheduling allows you to set specific times and days when you want to ads to be displayed. If you only want your add to shown during office hours when you can take calls from prospects you can set the days and times to suit your business. You can also set bid modifiers for both days and hours as you may have found that you get better or worse quality leads on certain days or at certain times. You will find this in the settings when you create a new campaign. Two options are available to you here. Optimise (the default) where rotation is based upon the ads expected to generate the highest click-through rate or rotate indefinitely. The second option means that your ads will be submitted more evenly into the ad auction, but they won’t be optimised towards your specified goal. Unless you have a good reason I suggest you use the default ‘optimise’ option. Dynamic search ads are useful for advertisers with a large or well-developed website as they allow the headings of ads to be automatically generated based upon your website and to match these to people’s actual searches. See this article – Dynamic search ads for beginners for more details. With dynamic search ads Google crawls your site and matches search terms that are closely related to content on your site. The headline and landing page are therefore automatically selected to match the user’s search query. This should ensure greater congruency between the search query, the search ad and the landing page. Depending upon the nature of your campaign you may want to exclude certain types or devices or you can set a bid modifier for mobile devices. If your bid is £1 and you set your bid modifier on mobile of -25% your bid on mobile devices would be £0.75. If you set a bid modifier of 125% then the bid on mobile would be £1.25. The match ad text will be bolded and so will stand out more. As Google matches keywords the ad will be deemed as relevant. Customers will see your ads as more relevant to their search query. Although ads cannot contain excessive capitalisation, you can capitalise the first letter of each word. This will help your ad stand out. You should avoid excessive punctuation and ensure ad copy accurately describes your offer. The display URL will combine the root of the final URL with path 1 and path 2. All ad groups should include at least two ads for testing purposes. This is an example of an ad for “buy to let”. Notice it has structured snippet extensions at the bottom as few text ads now don’t make use of extensions. This is a mobile version of the “buy to let” ad. Your copy for your ad will be displayed on both desktop and mobile. Check that your copy clearly displays on both desktop and mobile formats before beginning your campaign. When a user clicks on your ad they will be directed to your designated landing page. Link your AdWords account to Google Analytics to enable your web analytics to track post click behaviour. This will allow you to set up conversion funnels for your PPC visitors to monitor drop off rates and identify potential areas for improvement. This can be carried out in Google Analytics by clicking on the admin icon (the cog in the bottom left-hand corner) and then click on “AdWord Linking” under “Product Linking.” You will just need to enter your AdWords ID number, give it a name and select which view you want to use and that will link the account within 24 hours. Ensure you also link your Google Analytics account to Google Search Console so that you can monitor organic traffic and track changes to your keyword rankings. Setting up conversion tracking allows you to create conversion goals (e.g. ad to basket) to measure the performance of your PPC campaigns. If you are using Google Tag Manager to manage the tags on your website this Measure School video explains how to set up AdWords conversion tracking. With AdWords you can set up conversion tracking for a number of goals including webpage (e.g. 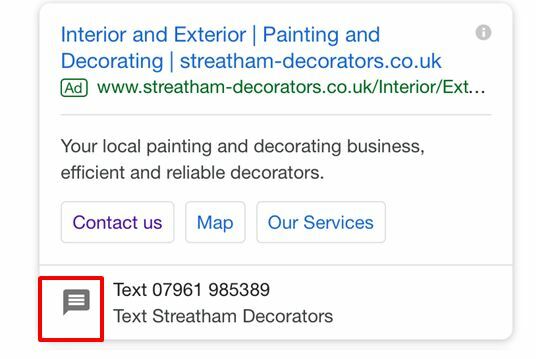 purchase confirmation page), mobile or tablet app, clicks on a number on your website and calls from ads using call extensions. To be able to run Google Shopping campaigns (PLAs) you will need to connect your Google Merchant Center account to your AdWords account. You will just need to enter your AdWords ID in the “Settings” section of the Merchant Center account. If you are using Google Analytics you can now set up AdWords remarketing without the need to add a code snippet to your site. Go to Google Analytics admin and under “Tracking Info” click on “Data Collection”. From here turn on your “Remarketing” and “Advertising Reporting”. The Keyword Planner in AdWords is accessible by clicking on the “Tools, Billing & Settings” spanner icon. This is a powerful keyword tool which provides data on average monthly searches, how competitive keywords are and the likely cost per click. Use this data to help you estimate starting bids and budgets for your PPC campaigns. This tool is helps you identify why your ad might not be appearing on the SERP. It shows a preview of a Google SERP result for a specific keyword or phrase. When you enter a keyword and other criteria such as location, the tool will confirm whether your ad is eligible to be displayed in that instance. 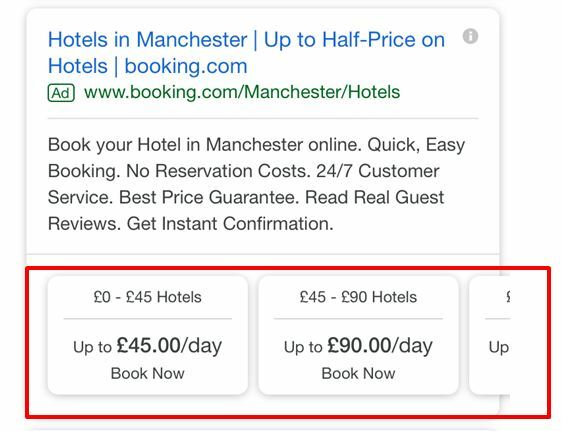 The tool will also show you which ads and extensions are appearing on the SERP and if your ad extensions are not being shown the tool will suggest reasons for why they might not be appearing. Use the ‘Share this search’ feature to save a specific search or to collaborate with colleagues by sending them the URL. Notice search results shown by the tool may change over time as for example if your daily budget is exhausted your ad may no longer be shown in the tool. This is an AdWords tool that lists changes that have been made to the account over the past two years. This allows you to see changes such as when a keyword was added to a campaign, changes to an ad group, previous budgets and when a campaign was paused. It allows you to filter by the type of change and it displays each change with a timeline and maps this to your account data (e.g. impressions, clicks and cost). If you have more than one registered user of your Ad Words account you can also view the changes they have made under their login details. The Display Planner provides targeting suggestions and estimates to assist you in planning display network campaigns. This includes keywords, demographics, interests, website placements, mobile apps and videos. All suggestions come with impressions and reach estimates and historical costs. AdWords recommendations analyses your account’s performance, campaign settings and trends across Google generate customised suggestions for how you can improve your performance. You may not see any recommendations immediately, but keep checking as once AdWords begins to process your data it will automatically make suggestions for improvements to your campaigns. The value of recommendations is that it saves you time analysing data and looking at performance estimates based upon historical data. Labels allow you to create custom categories for elements in your account. This enables you to easily filter and report on these elements to understand how they are performing relative to each other. Labels can be especially helpful when you have multiple account users or specific segments with different goals. These allow you to makes changes in your account automatically using settings and conditions that you select. This means you can change your budget, bids, ad status and more based on rules you set. For example you could increase your keyword bid every time that your ad fails to get onto the first page of search results. You can also trigger emails using an automated rule when a specific situation occurs. The shared library helps you to manage general things across multiple campaigns. For example, you might write some ads that could be used for different ad groups (e.g. so you don’t have to copy them separately) or use negative keywords for different campaigns. It can help you save time when managing your account. Once your PPC campaigns are running and you want to start reviewing their performance here are a few reports you will find useful. This report is available on both AdWords and Bing. The search term report shows a list of the exact search terms that prospects used and resulted in your ad being displayed and clicked. This is extremely useful in refining match types for all your keywords so that only appropriate searches lead to your ad being shown. The ‘Keyword’ column indicates which of your keywords matched a prospect’s search term and caused your ad to be shown. It’s also very useful at finding irrelevant search queries that can be added to your list of negative keywords. It may also uncover new keywords that you haven’t previously found. This is found in AdWords and allows you to compare your performance with competitor advertisers who are bidding for the same keywords as you are. This can help identify whether you need to increase your bids or budget to be more competitive in the auction. This report is available for both Search and Shopping campaigns. The Auction Insights report for Search shows you six different statistics; impression share, outranking share, top of page rate, position above rate, overlap rate and average position. You can run a report for keywords, ad groups or campaigns (provided they meet minimum threshold activity for the selected time period) and segment the data by time and device. You can also run a report to see if you are competing against companies in other sectors. This might suggest you need to add some negative keywords to your campaign or reconsider some of the keywords you are bidding on. For Shopping Insights, the report provides three different statistics; impression share, overlap rate and outranking share. The Placements tab shows all the websites, apps, and videos on the Display network where your ad was shown. This can help inform decisions about whether to adjust your bids for certain placements or exclude placements that are not converting. When analysing your performance it is a good idea to segment your data by device, time, network and other criteria to better understand how your campaigns are performing. You will find these options in many of the tabs in AdWords. Filters are available in both AdWords and Bing Ads. Filters are particularly valuable when analysing large campaigns when you need greater granularity to understand what is going well or not going well in campaign. Filters can be created for all kinds of data, for example for keywords using a particular word, bids that are higher than a specific amount and click-through rates (CTRs) that are lower than your average. See this article on how to crate filters in AdWords for more details. Columns are a feature in both AdWords and Bing Ads. On both platforms you can select which columns you’d like to see in your statistical tables and rearrange them in the order that you prefer. Columns are an effective way of customising the interface to align it with your goals and analysis needs. As this guide has demonstrated PPC marketing is not easy and it requires a good strategy and constant testing to be successful. It is an iterative process that requires experimentation, analysis, insights, being adaptable and experimentation. Unless you are regularly trying different features and strategies for your account you are likely to struggle to keep up with competitors. PPC also requires collaboration because the PPC expert needs to work closely with the marketing and SEO team to ensure campaigns remain aligned with business goals. PPC is most effective if it is done in tandem with SEO because once the budget is turned off your rankings and traffic will disappear. It is therefore important to build organic traffic alongside PPC campaigns because each will help the other in improving your click-through rate (CTRs) and conversions. There are some best practices for PPC marketing but remember every account and website is unique. Your business goals may be different from many of the companies that set these best practices and until you test you don’t really know if something will work for your account. Test regularly to ensure your strategy is driven by evidence rather than what has worked in the past. Thank you for reading my post and if you liked it please share with the social media icons below. About the author: Neal provides digital marketing optimisation consultancy services and has worked in many sectors including property/real estate, financial services and retail. He has helped brands such as the innovator incubator RGAx, the music streaming brand Deezer.com, online gambling brands Foxybingo.com, partypoker.com and Bgo.com and the e-commerce retailer Very. Neal uses a variety of techniques, including web analytics, personas, customer journey analysis and customer feedback to improve a website’s conversion rate.